We all know how difficult and unpleasant it is to have a stuffy nose. Whenever something like this happens, people get frustrated and their only wish is to breathe freely again. Colds, allergies, flu and certain weather changes can block the sinuses and this is the moment when people usually turn to pharmaceuticals. However, before you opt for the costly pharmaceuticals that might bring some side effects, it is the best idea to try to ease the pressure and tension in the nose, ears and head by pressing specific pressure points on the body. People who have decided to use remedies for allergies and colds that block their noses usually want to use pills that can eliminate all the mucus in this area. However, naturopaths agree that it is a much better idea to eliminate the fluid from the head. A respected user of Reddit, gym fork, suggests that acupressure is the best technique in situations like this. In other words, people should put some pressure on specific points in order to trigger and support fluid flow and help our noses work in a proper way. According to this user, one of the most efficient points of this kind is located in the mouth. He advises pressing the tongue against the mouth’s roof and pressing a finger against the eyebrows at the same time. Keep this pressure on for about twenty seconds and you should be able to notice relief. When you start making pressure with your finger and tongue, you will notice a movement that goes back to the back side of your throat and the buildup will be much softer. In case you didn’t have success with this method, you can try these pressures separately. First create pressure in the mouth and after that pressure between the eyebrows and keep doing this for a short period of time. 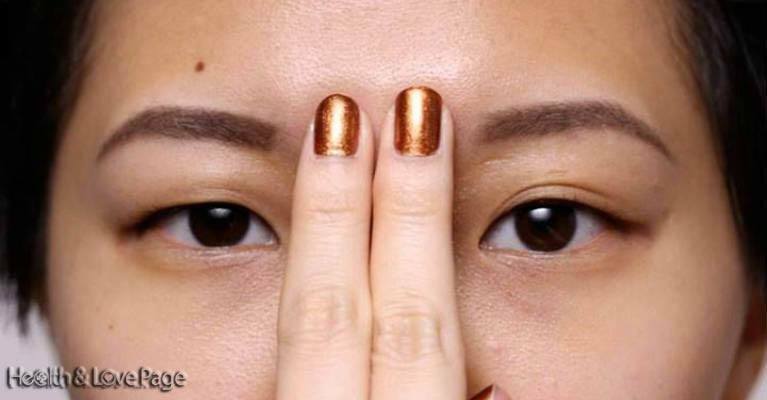 Acupressure experts know this point located right between eyebrows as Yintang acu-point. 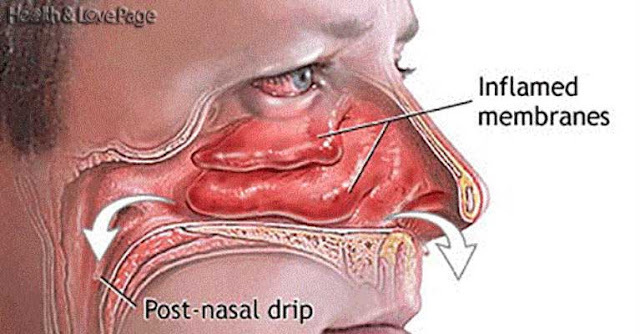 In case you notice that the stuffed sinuses are going up towards the top of your head, you should check another pressure point which should be able to help you cleanse the upper sinuses and nose. According to Amber Lynn Vitale, an experienced massage therapist, using your fingers across your eyebrows will trigger movement of blocked fluid in this area. So, put the fingers in the very beginning of the left and right eyebrow, near the point where they are not in touch and lean your head forward. Wait for 4-5 seconds and the pressure should start moving. This is the moment when you will move the fingers in the central part of the right and left eyebrow. Keep your fingers there and wait till you notice a mild lightness. After that, move the fingers to end of both eyebrows. At this moment, start moving the fingertips with circular motions in order to trigger and support fluid flow. We can all agree that massages are great for different body parts, but have you ever wondered what a mini massage can do to sinus pressure? It turns out that such massage can move the fluid from our head very quickly. Just rely on your fingers and press them against the collarbone notch for few times in order to start witnessing fluid movement downwards. Heather Wibbels, a popular massage therapist, says that you can rest assured that you are doing this right when you notice urge to clear the throat. In addition, the ears can provide that feeling of opening up when the pressure is gone. In case you are not comfortable doing this, you can use a different technique. Create a V shape by crossing the hands and apply the same movement of pumping on each side of the neck in order to stimulate lymph fluid release. Regardless of the method you choose, you should know that in this way you will move the fluid from your head. This is the whole point of this method. As we have already mentioned, sinuses can get blocked and stuffy due to many different reasons, but regardless of the reasons you should know that using pharmaceuticals is not the most efficient and most convenient way to solve this problem. If you add a small amount of pressure on certain points of your body you will be able to redirect the fluid that is causing discomfort.